Like all sensible parents I try and use what materials we have lying around to keep the kids entertained so when we had some wine delivered in bubble wrap this week I knew we were onto a winner! We love thinking up activities and crafts for toddlers so after spending some time stomping on the bubble wrap to see if we could burst it (we couldn’t) we carted it outside with our craft supplies to make this sweet bubble wrap alien craft for kids. Before we started I set a big PVC may out on the grass, this is a really good way to get to paint outside as it means you don’t need to worry too much about your garden getting covered and you can wipe it clean afterwards. 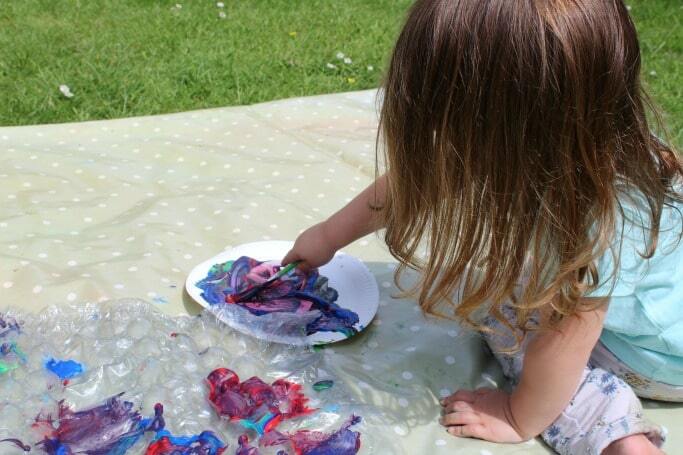 We sat on the mat with our paints and the bubble wrap and I showed my daughter how to paint it, like using a lot of new materials I normally find I need to show my kids what to do but once they know something outside the ordinary is ok to do they love it! She’s told me earlier that she wanted to make some aliens so i’d cut the shapes out of coloured card and then when she was happy with her painting we pushed the card down onto the bubble wrap to make spotty aliens. 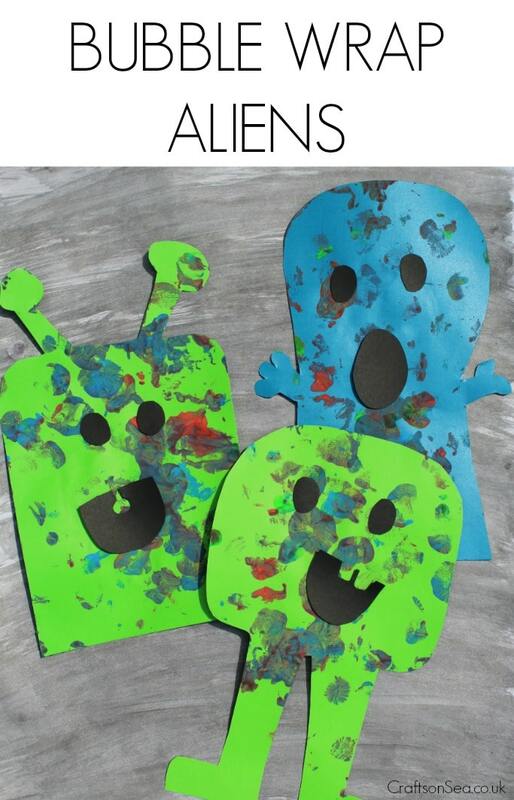 she also really enjoyed painting the backs of the aliens so it was handy to have the PVC mat to put them down on afterwards while they dried! We discussed the different colours she was using and what colours they made when she mixed them. 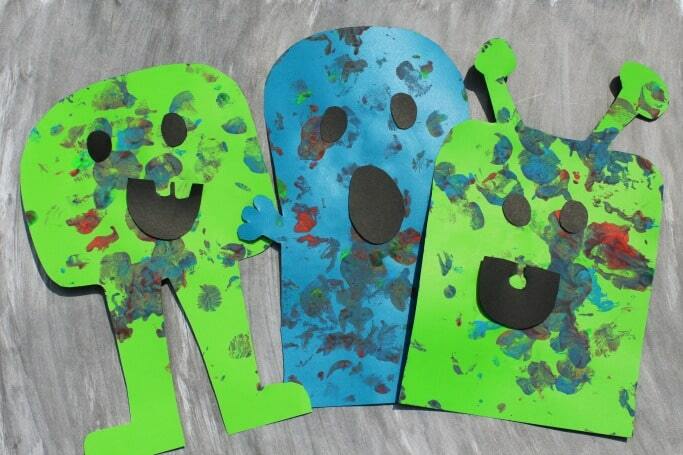 Each alien was printed with the bubble wrap a few times so we could make them as spotty as possible! The features for the aliens faces were cut out of black card and stuck on once the aliens were dry.